A basic home security system that you can expand into a powerful smart home system now or later. DIY home security systems aren’t a new thing, but developers are slowly working the kinks out of what can often be a complicated system with lots of moving parts that, should a single component fail, could result in catastrophic consequences. That’s good news for homeowners concerned about their safety, but who might be shy about paying thousands of dollars for a traditional system. Abode hit the scene three years ago, and it now offers a wide array of home security products that’s deep enough to outfit just about any home or business. 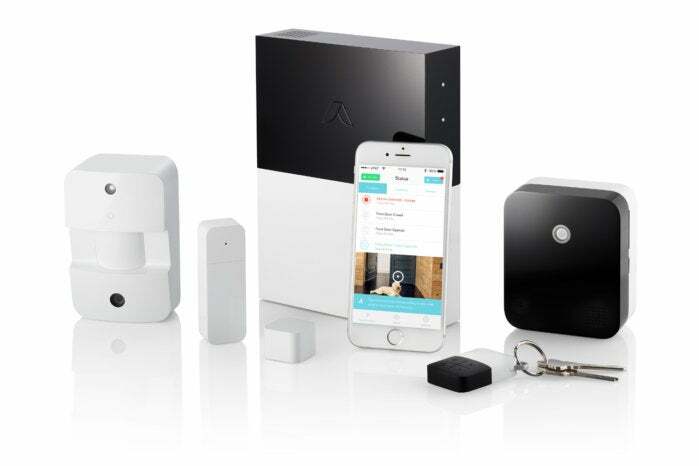 At the core lies Abode’s Secure Bundle starter kit (currently offered at $399), which includes the gateway, two door/window sensors, an indoor motion sensor with still camera, a remote control key fob, a backup cellular radio, and one year of professional monitoring and cellular backup. Those who prefer self monitoring can acquire the same hardware for $329, but the cellular radio won't be activated. The feature list is impressive, and Abode seems to have covered all the basics when it comes to contingency planning. The gateway is wired into your broadband router and runs on AC power, but it includes a back-up battery so a burglar can’t defeat the system by cutting the power to your home. The integrated cellular radio serves as a backup broadband connection (for the system only) if your primary internet service is disrupted. As I've already mentioned, however, you'll need to sign up for a service plan if you want that feature activated. All the sensors are powered by replaceable batteries with battery lifespans of 3 to 10 years, according to Abode, depending on the specific device and usage. 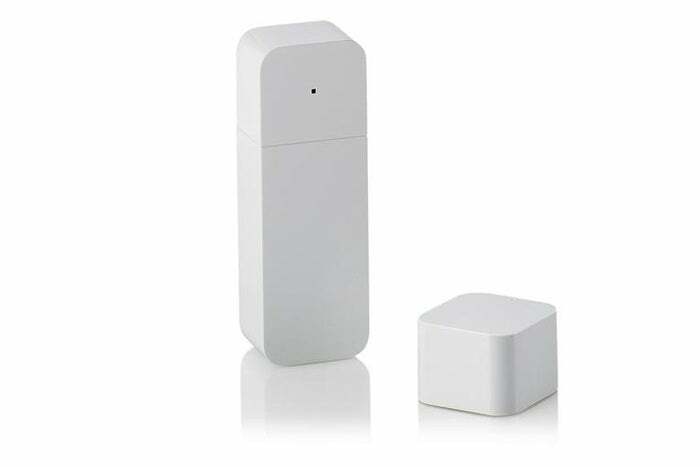 Abode’s door/window sensors aren’t exactly invisible, but they’re unobtrusive enough to allow for installing anywhere. Abode has worked most of the kinks out of the installation process, which can be completed in a matter of 15 minutes, max. (The sole hiccup I encountered: Instructions to remove a plastic strip to activate the motion sensor’s batteries. In reality, the batteries had to be installed separately.) Naturally there’s an Android/iOS app that guides you through things: first the placement of your gateway, then setting up each sensor individually. All sensors attach via sticky tape, including the motion sensor with camera, which is designed to be mounted in a corner. It can take some time to master the Abode app, but in simple terms, the alarm system offers three modes: standby, home, and away. In standby, everything is off, though the gateway conveniently chirps when a door or window is opened, just like a traditional alarm system. In home mode, only the door and window sensors are active. Away mode turns on everything, including the motion sensors. (Note that the motion sensor has hair-trigger sensitivity and would require precise placement to avoid false alarms caused by pets.) Geofencing features can be used to turn the alarm on and off automatically when your phone comes and goes, and in my testing these features worked perfectly. The Abode system tracks everything, right down to doors opening and closing, even when the system is in standby, and any actions that take place while the alarm is activated generate both an email and a pop-up on your phone. By default, tracking all of this stuff is up to you, and the service stores logs, including photos and alert history, for just three days for free. Naturally, you are encouraged to subscribe to an enhanced service plan to activate extra features: $10 per month gets you 14 days of history and turns on the 3G cellular backup. A $30-per-month plan includes that feature, extends the history to 90 days, and activates 24/7 professional monitoring that can call you and/or the police if an alarm is tripped. None of the plans require you to sign a long-term contract, but Abode does offer discounts if you pay for service plans in one-year increments. Abode’s hub attaches to your router via ethernet and houses an ear-shredding 93dB alarm. The system features settings for entry and exit delays, chirping for a minute to give you time to get out or disable the alarm before the shrill, 93dB siren erupts. That said, it’s easier to disable the alarm before you come back into the house, either through the app or via the handy key fob, which is much more efficient. If you want to expand the system to include home control as well as home security, you can incorporate Nest smoke detectors, thermostats, and cameras; Amazon’s Echo; Google Assistant; and a variety of ZigBee and Z-Wave devices (ranging from lighting to smart entry locks). Abode supports an IFTTT channel, too. My biggest complaint with Abode is that the photo quality of the motion sensor camera is poor to the point of uselessness. I was unable to identify faces at a range of more than six feet, and asking a criminal to get that close and personal with an alarm sensor seems like asking too much. While $399 will get you started, outfitting a typical home will cost considerably more (that's true of any security system of course). You can also add a vast array of extra sensors, ranging from acoustic glass-break sensors ($59 each) to water leak sensors ($49 each). Serious users will probably want a wall-mounted keypad ($79) that everyone in the house can use, too. The more complex the network gets, the more you’ll want to use the Abode website to manage all of this; in fact, a number of features can’t be accessed via the mobile app at all. 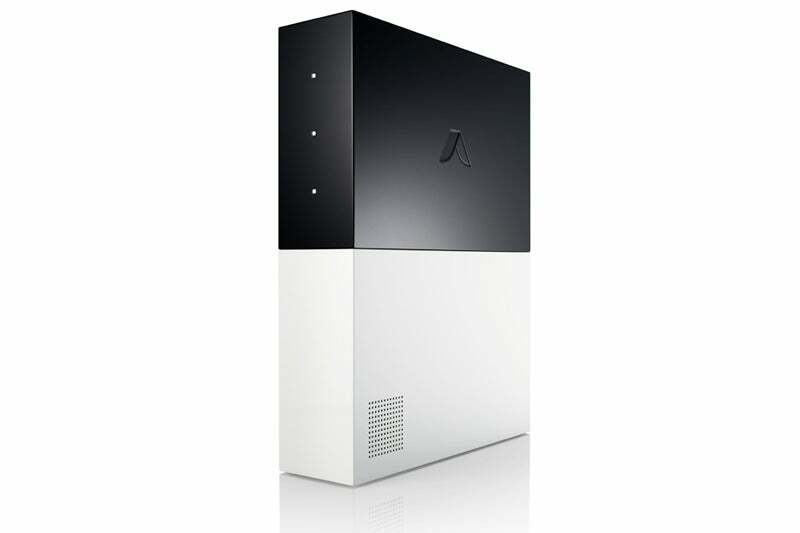 All told: Abode is well on its way to becoming a worthwhile security option, though the price will need to keep coming down to make it an attractive alternative to mainstream security options. Editor's note: This review was updated shortly after it was published when Abode informed us that the $429 (at the time of our review) cost of the starter kit includes one year of professional monitoring and 3G broadband backup service. We changed our rating from 3.5 to 4.0. We later updated this review to include the new addition of Google Assistant support, which was announced on January 4, 2017. Abode’s DIY security system is easy enough for beginners, but it still has some maturing to do to make it competitive with professional alternatives.